Today I'm sharing a CAS card I made this morning. I didn't have a lot of time to craft this morning, so I needed a card I could put together quickly. Start to finish, this card only took about 25 minutes, which for me, is FAST! I used Fog card stock from Simon Says Stamp, Enchanted Evening card stock from PTI; and some white I had in my stash. I used the "curved edge" die from Simon Says Stamp for the bottom of the white piece. 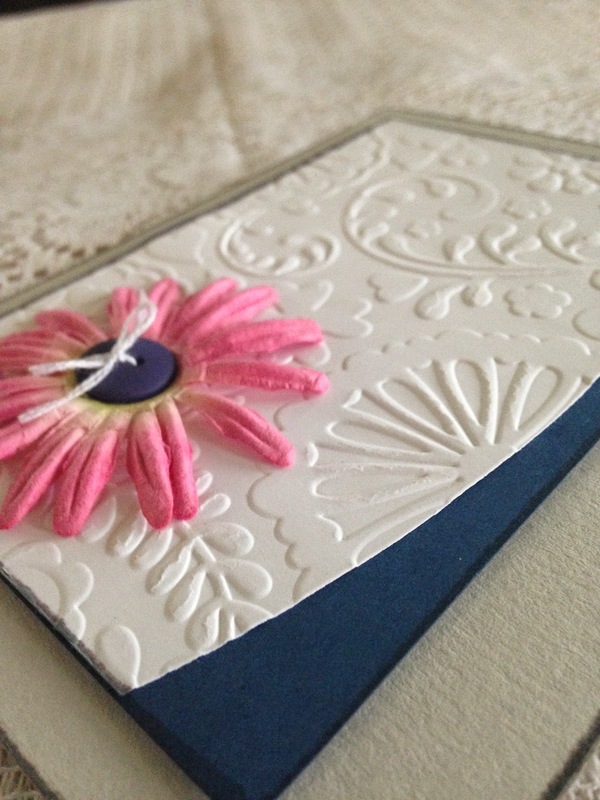 I embossed the white piece with an embossing folder and then added a flower as well. 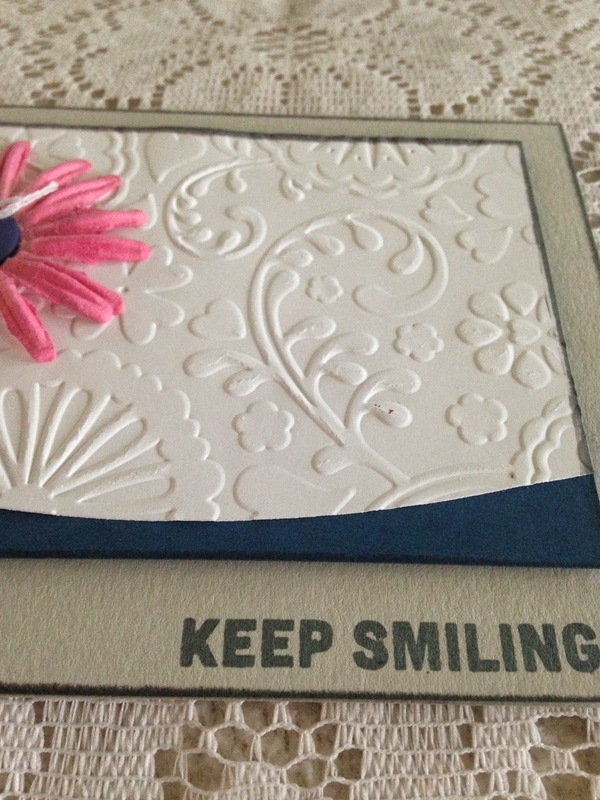 I used a Slate ink pad from Simon Says Stamp to add some ink to the edges of the card and the center panel. The sentiment is also stamped in Slate ink and is from the "Thinking of You" Stamp se featured in SSS February 2014 card kit. That's all for me today! Thanks for visiting and I will see you again soon! Simple but quite a statement~Thanks for playing with us at Craft Your Passion! Lovely card.. Thanks for joining us over at Incy Wincy this week..
Lovely card.. Thanks for joining us over at Through the Purple Haze this week.. Such an elegant card! Love it! Thanks for playing with us at Craft Your Passion#257. Good Luck! Lovely card! Thanks for joining us at Card Mania Challenges! Wish you good luck!